A few month ago, Motorola's roadmap for 2017 got leaked, which showed us that Motorola will launch Moto Z2 Force, the successor to the Moto Z Force. Previously, there was a 360-degree CAD render of the phone which showed the design of the smartphone. 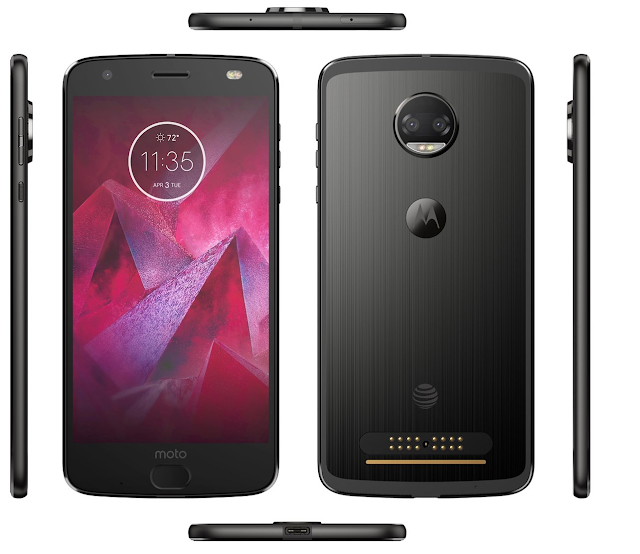 Today, a new render of is posted by Evan Blass, which illustrates the Moto Z2 Force for AT&T in full glory. The Z2 Force will come in Gunmetal color. 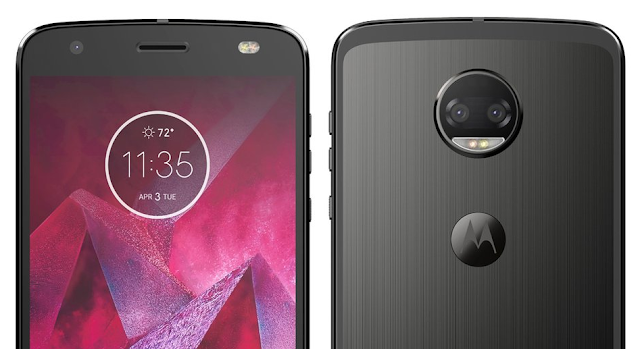 From the front, the phone will look like the Moto G5 series, and it will also come with a dual tone front-facing LED flash. At the back, the Moto Z2 Force will feature similar design language with the magnetic pins located at the bottom. The devices will feature dual-rear camera with a bump. The Moto Z2 Force will feature 5.5-inch display, with an unknown resolution. The Z2 Force is rumored to feature a shatterproof display and Snapdragon 835 SoC.